The "old" Highway 101, now just Main Street, in Willits. WILLITS, 4/12/18 -- CalTrans will begin major construction on Willits's Main St. sidewalks later this month, and is hosting an open house informational session on Tuesday, April 17 for residents and merchants to learn more. Granite Construction has been awarded the contract, and the work is scheduled to begin this month, and end in November. The open-house will be from 5:30 p.m. to 7:30 p.m. at Willits City Hall. For generations Willits's Main St. comprised part of U.S. Route 101, owned, maintained and operated by CalTrans. But with the completion of that tremendous arc of concrete, the Willits Bypass, Main St. is now slowly "reverting" to local control -- but not before a little make over. For CalTrans to transfer ownership and control to the City of Willits, it must first improve and repair the street in various ways -- a process referred to in the piquant jargon of CalTransese (Caltransian?) as the "rehabilitation and relinquishment of Old Highway 101." This will include improvements to sidewalks, making them compliant with disability and access standards, fixing drainage issues, as well as eventually repaving the road itself. The relinquishment process has not been without controversy. The sudden cutting down of several old cork trees along the north end of Main St. last year prompted some outrage, and became, briefly, an issue at the Willits City Council. And the general lack of communication between the City and CalTrans has been a source of frustration all around. Still, many local store owners, and city officials, have long looked forward to the day when Main St. would be fully under the control of the City. The hope has been that such control would allow the street to be refashioned into a more usable, walkable, and perhaps tourist friendly thoroughfare. 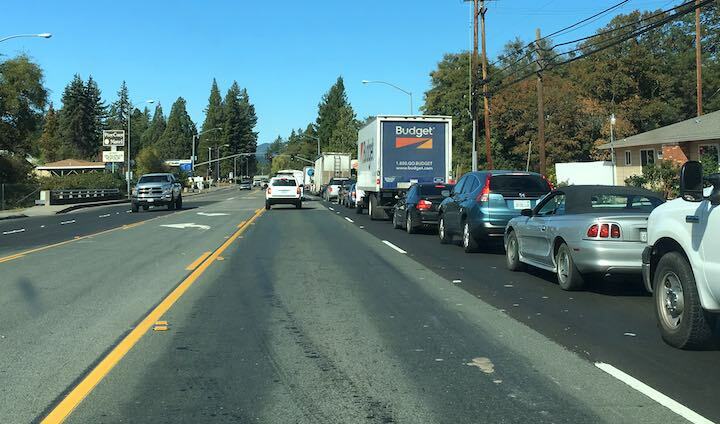 Caltrans and the City of Willits are hosting an informational open house for the Willits Rehabilitation and Relinquishment of Old Highway 101 on Tuesday, April 17 at Willits City Hall Community Room at 111 East Commercial Street, Willits. The public is invited to drop in anytime from 5:30 to 7:30 pm. Caltrans and other officials will be on hand to answer questions. The project plans and tentative work schedule will be available for review. Merchants and interested residents can learn how to sign up for construction updates. The construction contract was awarded to Granite Construction. The project is tentatively scheduled to start at the end of April and be completed by the end of November 2018. 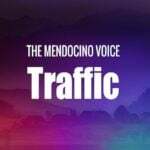 This project will bring the road into good repair and then turn it over the City of Willits and the County of Mendocino. Phase one work includes upgrading sidewalks and curbs to current accessibility standards, upgrades to existing drainage facilities, slurry seal, and restriping. Phase two includes grinding, paving and restriping the roadway. For more safety information and the latest updates like Caltrans District 1 on Facebook."